Location(s): Easily adjustable to any setting with available tables for each team. Investment: Starts at $3000 and dependent on group size. Cost of donation not included. Inquire below for a custom quote! 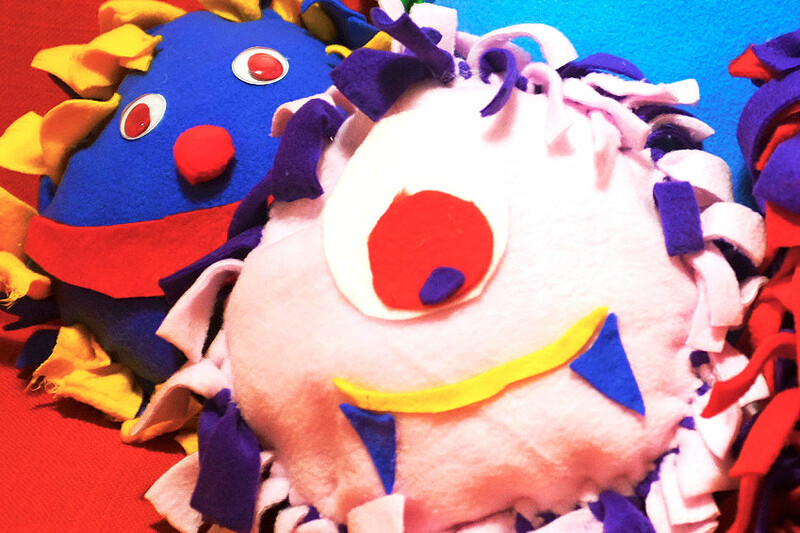 Your team will create these adorable monsters for kids in the local community. They are smushy and cuddly and perfect for putting a smile on a child’s face. Each team member will choose their colors and then cut, tie, and put a face on their Hugga Monster creation. 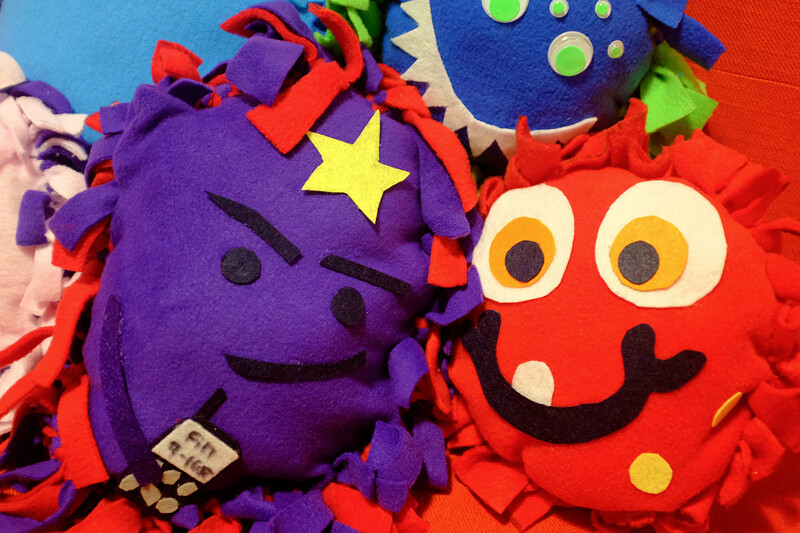 No sewing is required to complete these little beasties. Each monster will be accompanied by a hand written note from it’s creator to the child receiving it. The kids that receive them are facing challenges of health, poverty, or situational discord. Your gift will let them know that someone in the world is thinking about them. This heartwarming giveback opportunity can be done as a standard production session. Or we can gamify your session to add the spark of competition. Heartwarming team effort that benefits the community. The process of creation leads to unique collaboration opportunities and social connections. Professional Emcee/Facilitator, Experienced Event Staff, Craft Supplies, Templates, Coordination with Charity, and Photos of The Day. We’ll work with you to find a charity that matches your organizations values. From the Boys & Girls Clubs to Ronald McDonald House to local shelters, there is a lot of need in our community. Nope! This is a no sew project. If you can use scissors, tie knots, and glue you’ll be all set.